→Creative Visualization by Lisa Nichols Review-What’s so Unique? 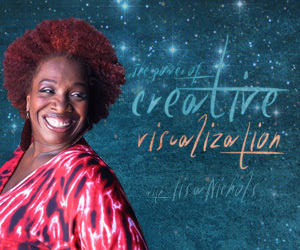 Creative Visualization by Lisa Nichols Review-What’s so Unique? I don’t think Lisa Nichols needs any introduction,she was one of the stars in the movie “the secret” who really played a very key part in the movie. 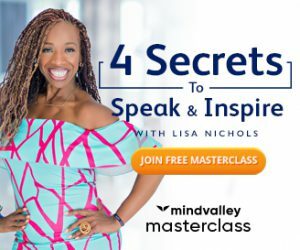 Lisa Nichols has also created a lot of buzz by appearing in the Oprah Winfrey show and many other places, she has really got some magical quality which I cannot really explain but, it makes her so unique and special. Her voice is so mesmerizing that I cannot resist hearing more, it actually feels so good. When it comes to hearing audios I find something very powerful in the voices of three great ladies in the area of personal development who have really helped me a lot to connect with my inner self, they are- Esther Hicks, Christie Marie Sheldon and Lisa Nichols. All of them have one thing in common-their voice is so soothing that it brings us totally into a very peaceful and relaxed state of mind. Okay, So I am actually writing this review to help you to know more about this program and how it can benefit you and to give advice on if you should try it or not. Their main argument in their product website is that most of the personal development products focuses more on taking action, whereas without changing the subconscious beliefs that controls our behavioral patterns-actions are counterproductive. 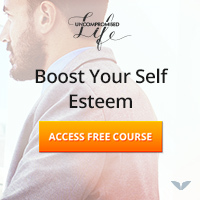 Now, if you have been reading this blog then you might be knowing that most of the posts here are in accordance to this belief only, their website also says that creative visualization is the best tool to change the subconscious beliefs and that is also true because all the great personal development experts have taught us this always. But, one question that would be very appropriate to ask here is – Do We Really Need Someone to teach us Creative Visualization? NO! I don’t think so. Every person is born with the ability to imagine and we all are using this facility of our mind already-Most of us are using it for things that are not at all productive but, consciously or unconsciously we all already know how to do it. With a little focus, meditation and deeper awareness one can naturally harness the higher benefits that visualization can provide. Why to buy Lisa Nichols’ 12 guided visualization then? Yes, you don’t have to buy it actually and you can really learn it on your own. Earlier, if you would have asked me if I should buy this? I would have said – no don’t waste your money, just use music or meditation to just focus more on the feelings that visualization brings, this is why I left out the review of this product for so long. But now, my views about this product has changed, and I think if you find it hard to visualize vividly then you must go for it. Hmm.. I thought like all other Mind Valley products, this too might be good but, why to spend money on something that we already know how to do and all we need is a bit more serenity, but then I played Lisa’s guided visualization and I said – Wow!, this woman has got a very very magical voice, she definitely can bring anybody into a very relaxed state of mind and then make them to visualize vividly. All I can say is you will never regret buying this product and you are definitely going to love those 12 incredible guided visualization sessions that will surely make you to visualize like never before. For more information, you can check out the creative visualization product website. We hope you enjoyed reading this post, do you have any opinion or view to share about this post? We love to hear from you so, please leave your comments in the box below.